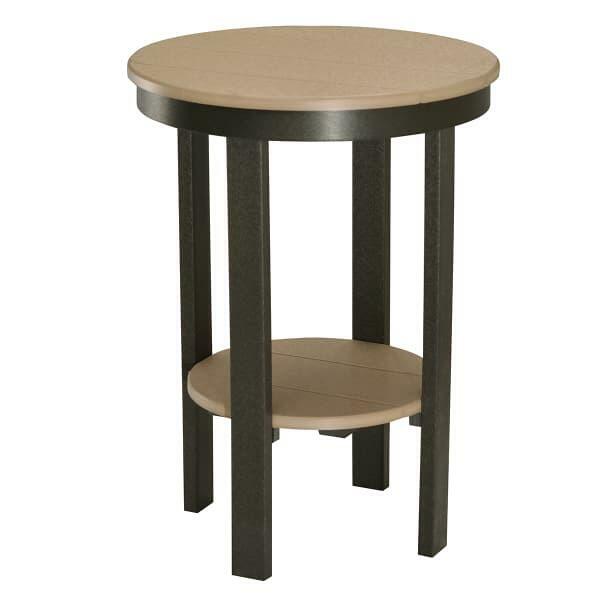 The Round Counter Height Table by Berlin Gardens is an effort on their part to offer incomparably well-built and attractive patio furniture that works in harmony with Mother Nature. The recycled poly lumber they utilized in this table and their entire furniture line is created from recycled plastics. This poly lumber mimics the look of natural wood, but stands up much better to the elements. It does not break down with exposure to insects, fungus, mold, rot and elemental damage like salt water or UV rays. Each counter height table is customizable with over 20 color options including two-tone patterns. Pair with any of Berlin Garden's counter height chairs!